Autobiographies are inspiring. It traverse through the writer's life and incidents which he / she willing to share with readers. It has the ability to encourage and inspiring the readers' mind. There are lots of autobiographies that are available today. Here we are sharing some of the best autobiographies with you. 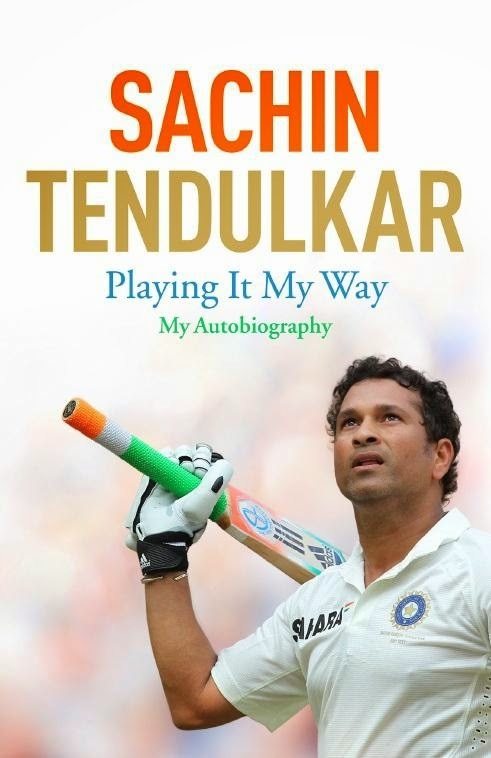 Much awaited autobiography of Sachin Ramesh Tendulkar, the most amazing cricket legend of all time "Sachin Tendulkar - Playing it My Way : My Autobiography" is going to hit stands from nov 6 2014. Sachin was Born in Mumbai, and made his Test debut in Pakistan at the age of 16 in 1989. He made his first Test century at the age of 17.He scored more runs and made more centuries than any other player in history-in both Tests and ODIs. He was in Indian cricket team squad which took the World Cup in 2011. In 2013, he retired from cricket after playing his 200th and final Test in front of his home crowd in Mumbai.No one who loves cricket would be able to forget his farewell speech and the crowd gathered at the stadium. "I knew that if I agreed to write my story, I would have to be completely honest, as thats the way I have always played the game and that would mean talking about a number of things I have not addressed in public before. So here I am, at the end of my final innings, having taken that last walk back to the pavilion, ready to recount as many incidents as I can remember since first picking up a cricket bat as a child in Mumbai thirty-five years ago." Later he tweeted on his twitter page that his autobiography will be released on Nov 6th 2014. Read more about Sachin Tendulkars' Autobiography "Sachin Tendulkar - Playing it My Way : My Autobiography"